This dressing will get anyone to enjoy superfoods such as kale greens! 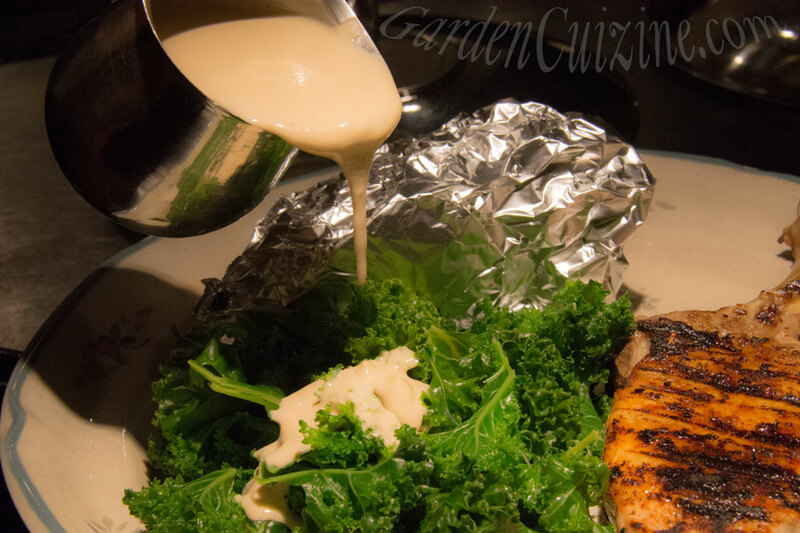 It was inspired by Michele's Sesame Tahini Salad Dressing that we sold so much of, and used when we had our restaurant: Garden of Eden Natural Foods and Country Kitchen Inc. Combine all ingredients. Mix together with a small whisk. Serve over your favorite salad greens, kale, chicken, tofu or fish. *Nutritional Yeast adds Vitamin B12 and fabulous flavor to foods! You can find it at supermarkets such as ShopRite. GardenCuizine Nutrition data: coming soon - check back! Recipe and photo Copyright (C) Wind. All rights reserved.